ONE tango, ONE dance , ONE big embrace and at the very centre is the human being. Tango unites people, regardless of ethnicity, race, gender, a festival that blooms from our hearts and our positive energy and vibes. Let’s create memories that we will always remember for the rest of our lives! Our 2nd edition of the festival is here, a festival that it’s 1st edition was met with warmth, lots of love and happy feet after it was finished and gave us the strength to continue our vision , which is to preserve the Argentinian culture with respect, focused on the people , providing high quality services to the people, in order to have a great time during the days of the festival. Tango is more than just a dance. 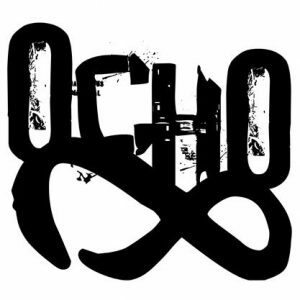 It’s culture, it’s a way of life, an artistic expression so strong and vibrant , a tango for everyone. Tango Unchained is founded and produced by Costa Kalogiros (Escape Velocity) , an awarded filmmaker / producer / Musician and a tango dancer and Dj and DustGoCreative , an artistic collective from Veria, Northern Greece , a group of creatives of all kinds, art directors, graphic designers, a team which joined forces this year, with big experience to events of many kinds, promising to keep every visitor happy by providing the best possible services. Tango is an international language, a speechless communication. Passionate, authentic, deep, emotional. 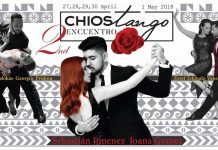 2nd Tango Unchained international festival, 10 – 13 May, 2018, Art Factory, Athens Greece. 9 couples, 4 grand milongas, 3 afternoon milongas, 16 workshops. We are delighted to host for the 1st time in Greece, one of the most loved couples in the world, the wonderful Noelia Hurtado & Carlitos Espinoza ! Also for their 1st time in Greece, a couple that broke the chains with its unique style and theatrical inspired performing, first queer couple that has ever entered the finals at the world tango championship, Daniel Arroyo & Juampy Ramirez ! 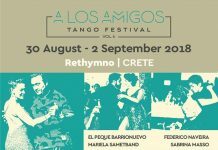 With them , three of the best couples in Greece and abroad, Greece tango scene’s biggest exports, the amazing Loukas Balokas & Georgia Priskou, Vaggelis Hatzopoulos & Marianna Koutandou, Maria Mantziou & Ermis Karaboulas. The festival will also have the honour to host three new couples compiled by very experienced dancers and professionals who have been in the tango scene for a long time, Danilo Maddalena & Pam Est La, Naima Gerasopoulou & Lucas Gauto and Evelina Sarantopoulou & Ezequiel Merlo! We will also have the chance to see new and upcoming forces of the Greek tango scene, Katerina Chatzipanteli & Giorgos Nikou, who will showcase their work for us! We’re looking forward to see you in Athens, with arms wide open!